TOKYO prosecutors today arrested Nissan’s former chairman Carlos Ghosn for a fourth time, cutting short his brief time outside detention. Ghosn and his lawyer protested against the latest arrest, saying it was arbitrary and unfair. He was taken to the prosecutors’ office and then returned to the Tokyo Detention Centre yesterday, officials said. It is the same facility where he spent more than three months following his arrest in November. He was released on bail a month earlier. Prosecutors said Ghosn was arrested this time on suspicion of diverting £3.8m from funds that were being relayed from a Nissan subsidiary to an overseas dealership. In a statement, they said the money is suspected of going to a company controlled by Ghosn. Ghosn, 65, was first arrested on charges of under-reporting his compensation last November. He was rearrested twice in December, including on breach-of-trust charges. The multiple arrests prolong detentions without trial and are an often-criticised prosecution tactic in Japan. The allegations in the most recent arrest cover three money transfers from 2015 until last year, according to the prosecutors. The prosecutors’ statement did not mention Oman, but the allegation appears related to an investigation by Nissan’s French alliance partner Renault into payments to a major dealership in the Middle Eastern country, some of which are suspected of having been channelled for Ghosn’s personal use. 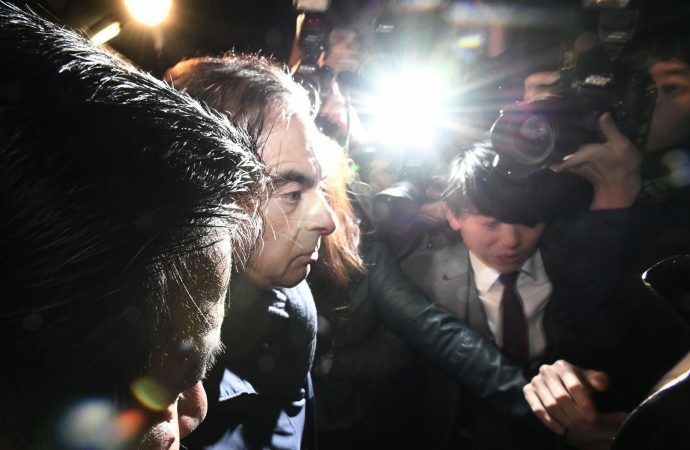 Ghosn’s lawyer, Junichiro Hironaka, denounced the arrest, saying his client’s release on bail meant the defence had already cleared up prosecutors’ objections to his release by showing he would not tamper with evidence or flee the country. His release on bail in March was unusually quick for Japan, where long detentions without convictions are routine. He also said prosecutors probably wanted to prevent Ghosn from speaking at a news conference he had planned for April 11. He has prepared a video statement which will be shared soon if he is unable to leave detention in time for the news conference, Hironaka said. Nissan chief executive Hiroto Saikawa expressed surprise about the arrest, although it had been rumoured for days. Ghosn has said the compensation he allegedly under-reported was never decided on or was to be paid in the future. He contends Nissan never suffered losses for his personal investments and says allegedly dubious payments in Saudi Arabia were for legitimate services. The maximum penalty for conviction on charges of under-reporting compensation and breach of trust is 15 years in prison. It is unclear when any trial may begin. Preparations in Japan routinely take months. 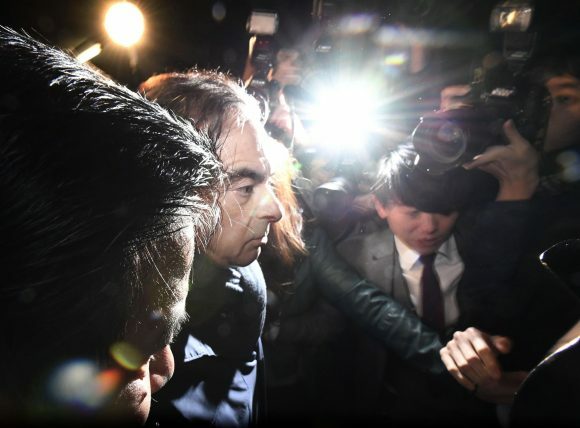 UPDATE – APRIL 5: Tokyo District Court approved the detention of Ghosn until April 14 at the request of prosecutors. They can seek another 10-day extension before needing to file charges against Ghosn, release him or accuse him of new misconduct that needs investigating.